Funky wedding photos are my joy! 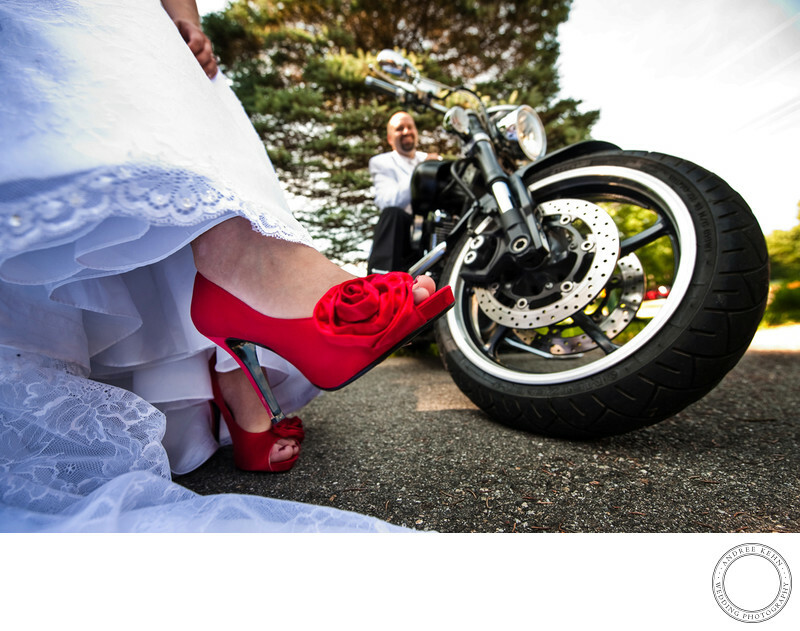 I shot these red wedding shoes with the groom on his motorcycle framed up behind them, showing the entire story in one image. This couple had a lot of outrageous spontaneity on their wedding day, and the class to back it up. Keywords: Wedding (231). 1/125; f/4.0; ISO 200; 14.0 mm.